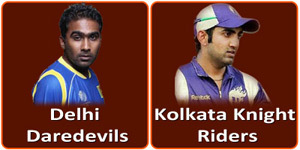 AstroSage Magazine: KKR Vs DD (3 April) : Astrology Predicts The Winner! KKR Vs DD (3 April) : Astrology Predicts The Winner! Much awaited tournament series IPL is about to begin today. All are interested in knowing the winners of each game and for Astrologers also it is a good time to test their skills. I am using horary branch of Astrology and a system which is mix of traditional Astrology, KP and Numerology. The system used is quite similar to the one taught by Lt. Shree Suresh Sahasne. The match will begin at 8 pm at Kolkata and at that time ascendant will be Libra whose Lord Venus will be in 6th house of the horary chart. It will be accompanied with 11th Lord Sun and Mars the 2nd and 7th Lord. Sun and Mars are natural friends. 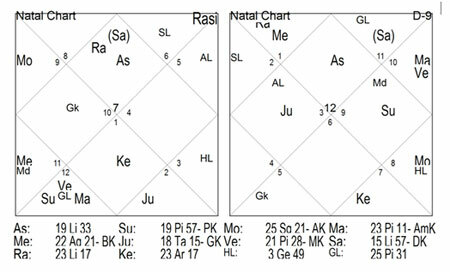 But the sixth Lord will be transiting in 8th house of obstacles and it happens to be the 3rd Lord also thus creating a Vipreet Raja Yoga. Moon, the tenth Lord, will be in third house in star of Venus. The result will be dramatic and unexpected. The resultant remaining after calculation is 1 and so team 1st should win. Winner: Keeping it in mind I feel KKR will be winning the match.